Lots of people lead busy lives. Consider my husband as one. Most of the time, weekends are the only chances to wind down. So, we set off on a day trip to the beach last Sunday to soak up the sun. A newly opened beach recently became viral on Facebook for abounding in color. Millennials even considered it as Instagrammable. The promotions beckoned people. So, a month after its opening, my husband told me it’s time to experience the beckoning beach. 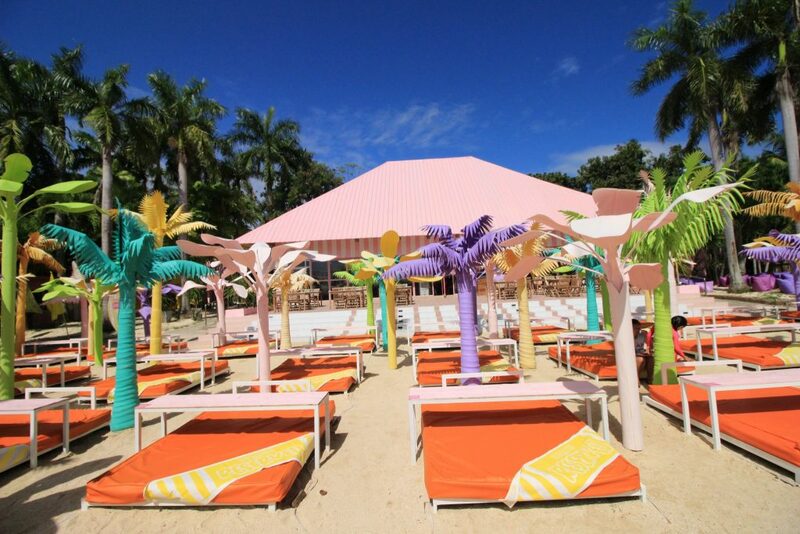 It goes with the name The Happy Beach Cebu. Opens from 7am to 5pm daily. While on our way to the beach, the weather wasn’t cooperating with us. Fortunately, when it’s about noon, the sun showed up. 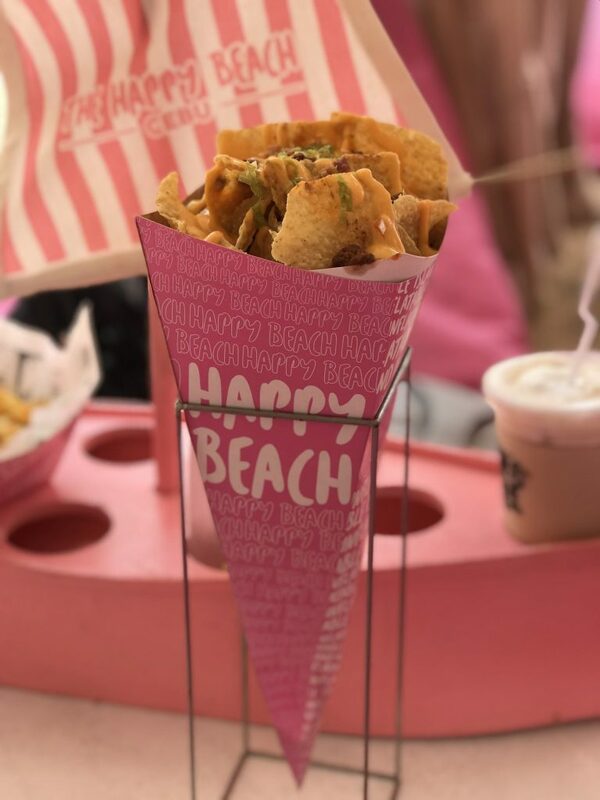 Perfect weather for a beach getaway. Walk-in rate and online rate differ. We were walk-in day trippers which means we paid: 799php per person. If you book online, you only have to pay: 699php per person. Pink Bali Lounge is a favorite of mine. It consists of a tent or a beach umbrella, bean bags and a table. Me enjoying my siesta in the Pink Bali Lounge. The pink hue! 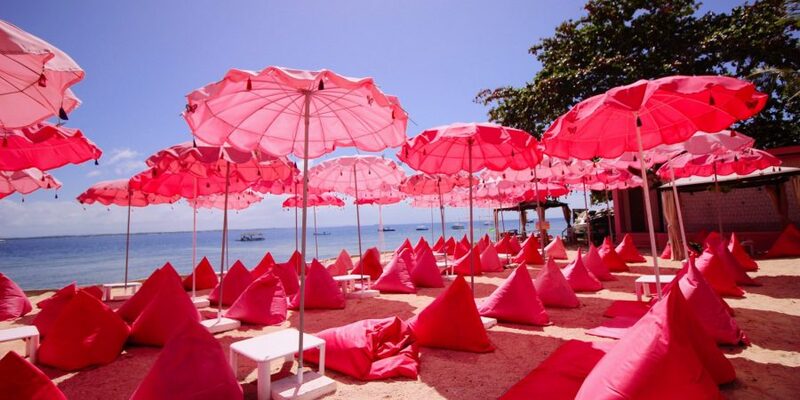 This is the Pink Bali Lounge. The pool wasn’t that big. However, I got to enjoy swimming with my husband and the kids of other couples. 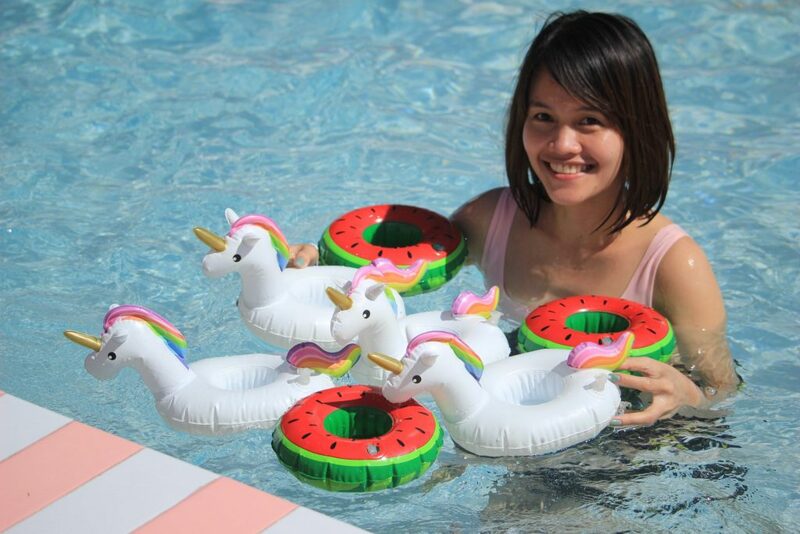 In the pool were small unicorns. If your tummy suddenly craves for food while swimming, the pool bar is just next to it. Foods, drinks and snacks are available. The pink pool with unicorns. 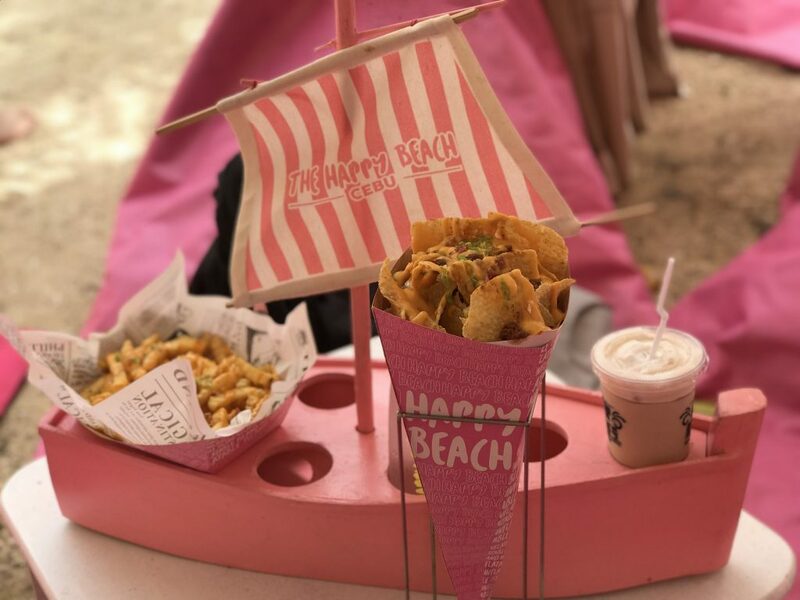 On the assumption that you opt to eat in the Pink Bali Lounge, they cordially serve the foods there in a very cute container, a pink boat. Food prices are affordable, from 300 or 200php up. The Happy Jungle Lounge isn’t inclusive in the Beach Pass. If you wanna use this accomodation, book a reservation. It comes with cushions, bed, beach umbrella, two to three towels, and snacks for 1, 500php. 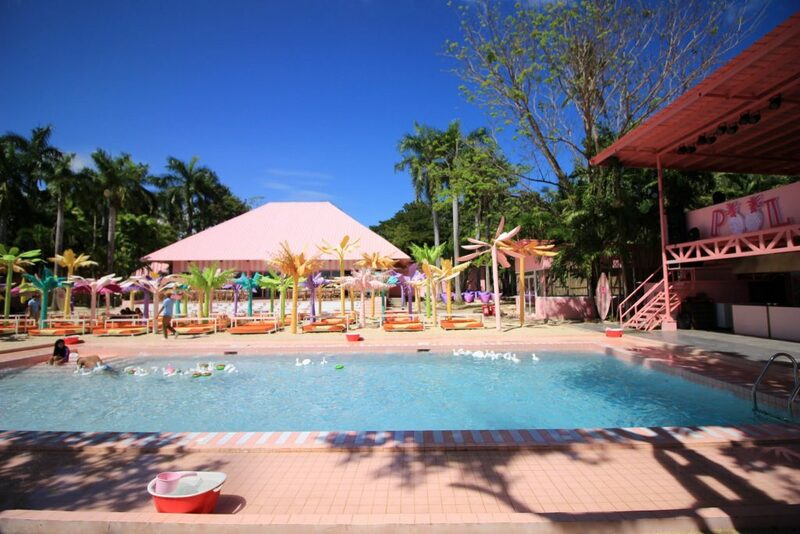 It’s good for four to five pax maximum with whole day access to the pink pool. If you don’t reserve online, don’t worry as it’s also available on a first come first serve basis. Based on experience, The Pink Bali Lounge is enough. 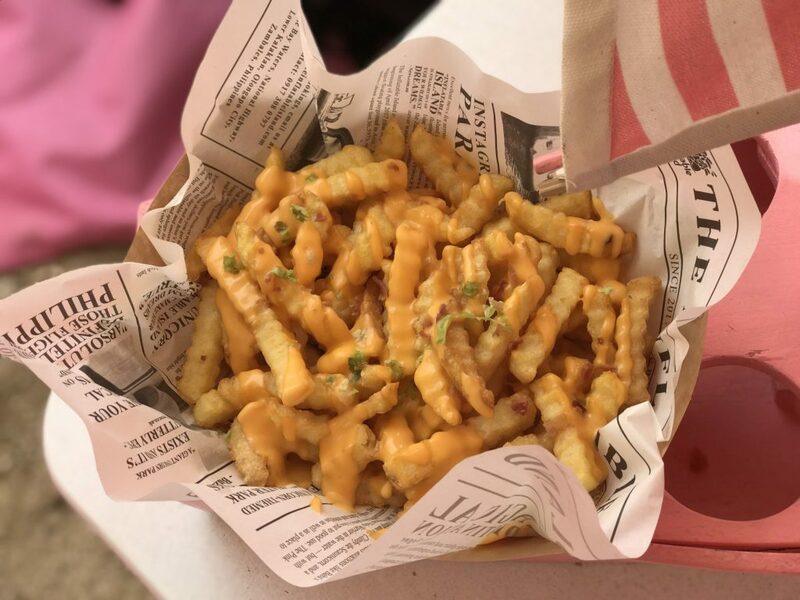 Aside from the fact that it’s free, we could chill out, indulge in rich foods and take in the view. I recommend The Pink Bali Lounge than The Happy Jungle. This is the Happy Jungle. While lazing away in the Pink Bali Lounge, my husband came up of going to the inflatable island. 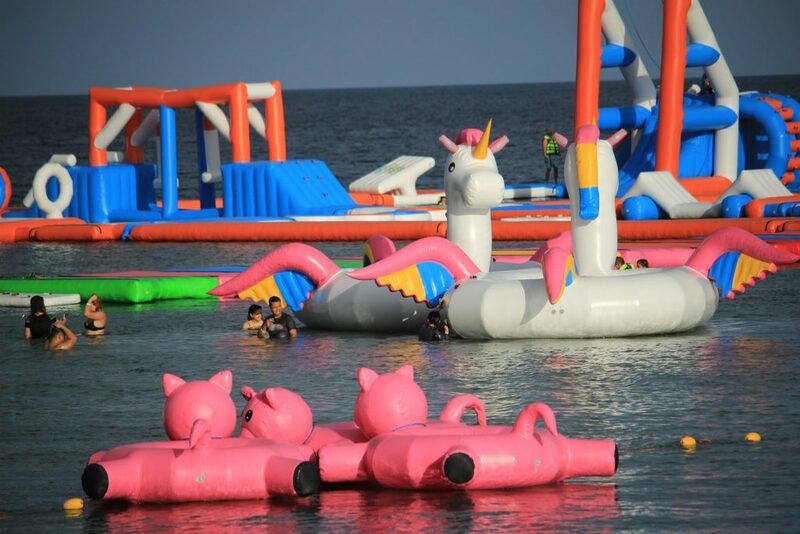 It’s Happy Beach’s pride because only them has an inflatable island in Cebu. Aside from the 799php Beach Pass, we paid an additional of 399php for the inflatable island pass. We were able to enjoy the game called SPRINKLE for one hour. The inflatable island experience was one for the books. I’ve only seen those kind of obstacles on TV particularly on a US TV show. 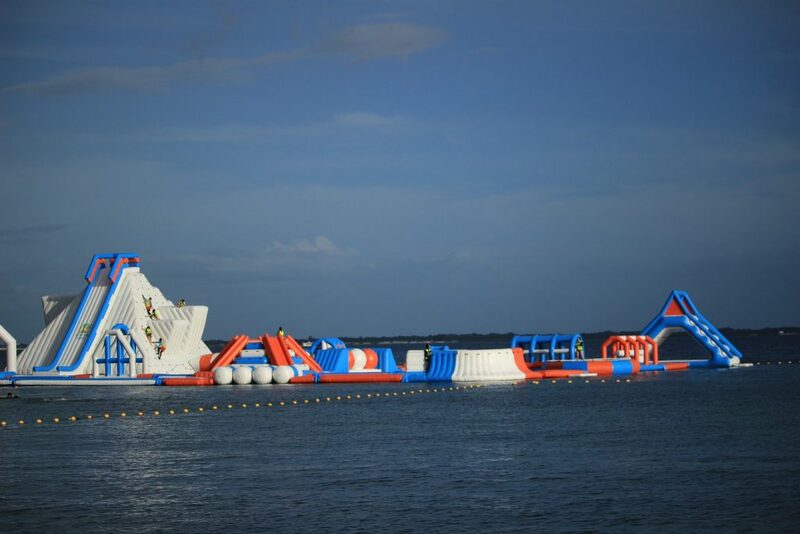 Most participants fell on the second obstacle and the one with the most tactics finished the game without falling. My husband and I fell a couple of times and that was the funniest part! We were wearing life jackets so I wasn’t anxious. Furthermore, our guide named Joner was heedful to us. With regard to the slides, I have to admit that I chickened out. In the end, after all the empowerment I gave to myself, I jumped and conquered the slides! The 25 feet slide was the only slide I purposely turned down. Haha. Boy, that was high! 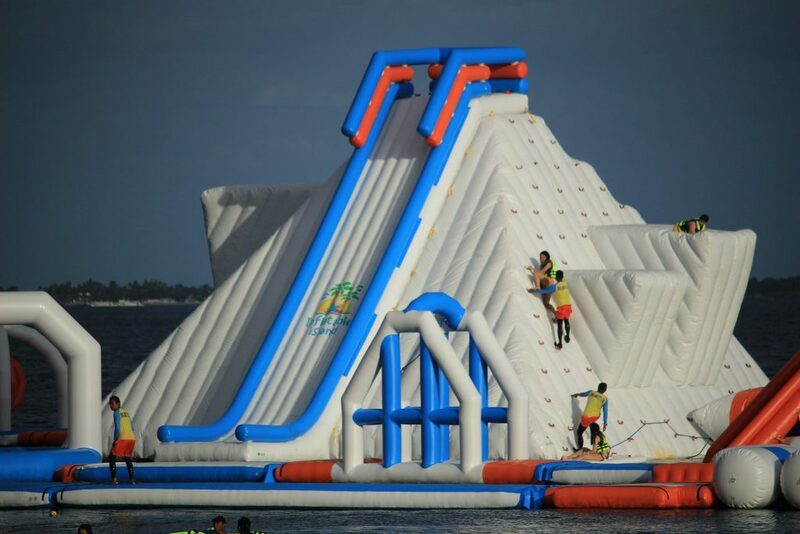 One hour access to the inflatable island is more than enough. Most importantly, I would like to emphasize that the inflatable island was what made our day trip memorable. The experience and the vigor topped the list. 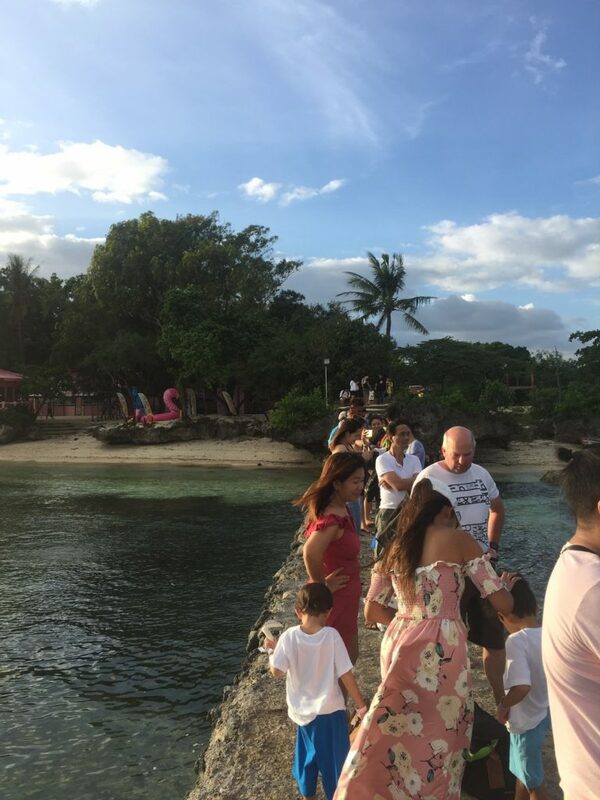 How to get to The Happy Beach Cebu? Going forward to the beach access. I would say this was an important thing to talk about. I wanna give you some heads up. The beach was only accessible by boat because the piece of property near it which could be used as a path to the beach was a private property. Just so you know, you could access through it but you have to pay around 300-400php per person if my memory serves me right. Isn’t it expensive? Ergo, everyone prefers the boat. What’s more, it isn’t that far. Roughly 15 minutes, for instance. However, going back to the port was something that gave me mixed emotions. By the way, the beach own two boats. 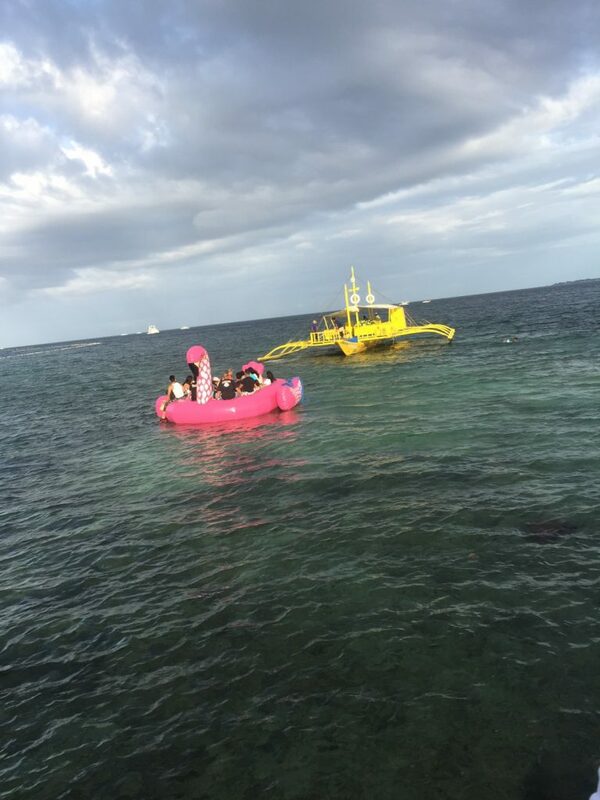 The boat had to wait in the deeper part of the sea so the passengers need to ride on an inflatable swan to reach the boat. Meanwhile, while we waited for the boat around 4:30, the waves got bigger because the wind was stiff. People waiting for the boat. People on an inflatable swan approaching the boat. By the time we arrived at Angasil Port, we couldn’t dock due to the huge waves. Therefore, the crew decided to go back and try another port which was in Buyong. People were a bit tensed especially the women and the families with kids. Thank God, we arrived safe and sound. The supposedly 15 minute ride became an hour. Still grateful! Boat pass is 50php back and forth per head. Life jackets are provided. Boat schedule is from 6am to 5:30pm daily. In spite of the fact that this beach has a rather risky acccess, it still proves its Instagrammable feature. 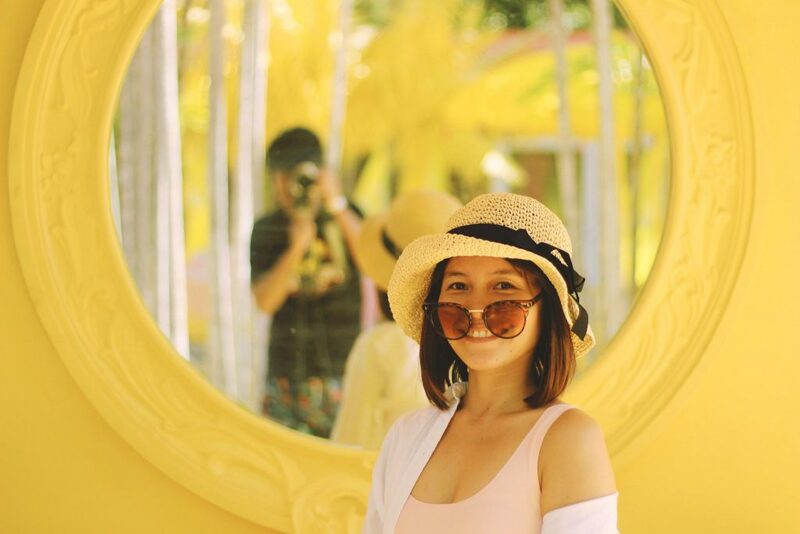 To conclude, The Happy Beach Cebu is truly colorful, Instagrammable, budget friendly if you get the right package and fun. We had a whale of a time. However, when it comes to the transportation, I hope they find an alternative. The safest way possible. 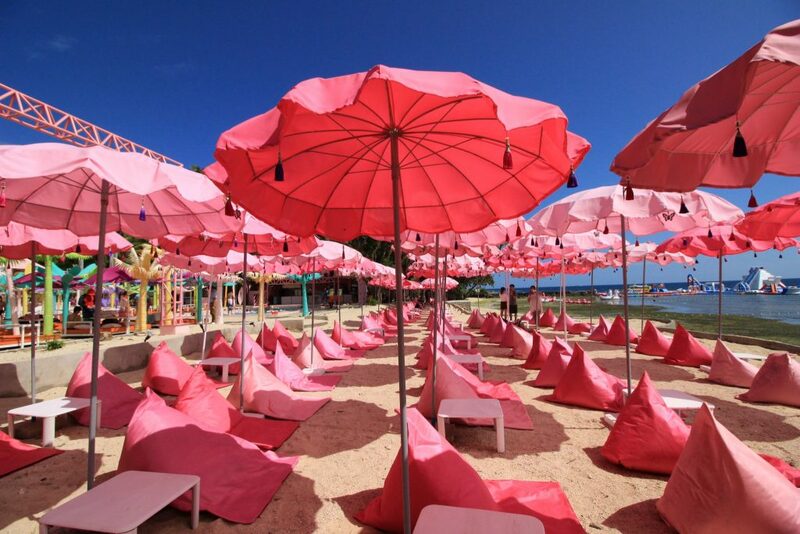 Aside from the colorful The Happy Beach Cebu, where else do you wanna go? You can read about Sirao Flower Garden just in case you would give it a go. Was this Post helpful? Yes No 3 of 3 people say this Post is helpful. 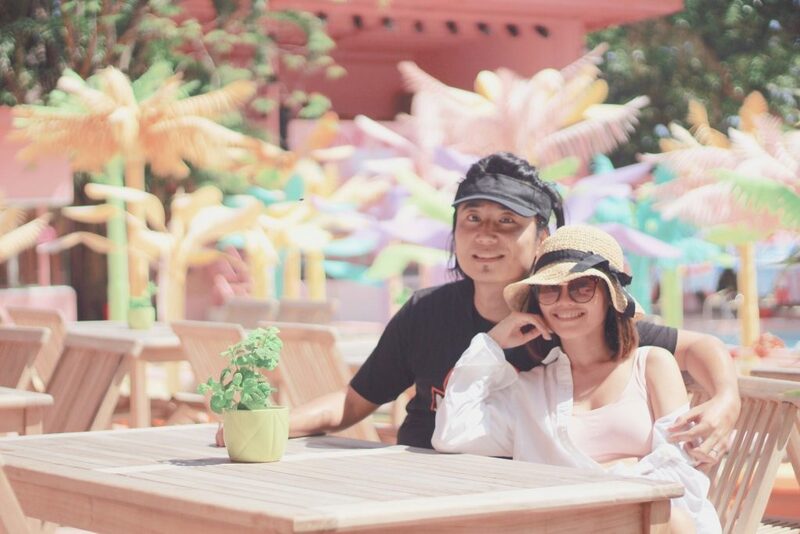 Next Post Cebu Safari and Adventure Park: World Class?